Although physically demanding, clearing a house can be a very straightforward process, if you just want everything chucked onto a truck and taken down the local tip, which in some instances can be the only option. 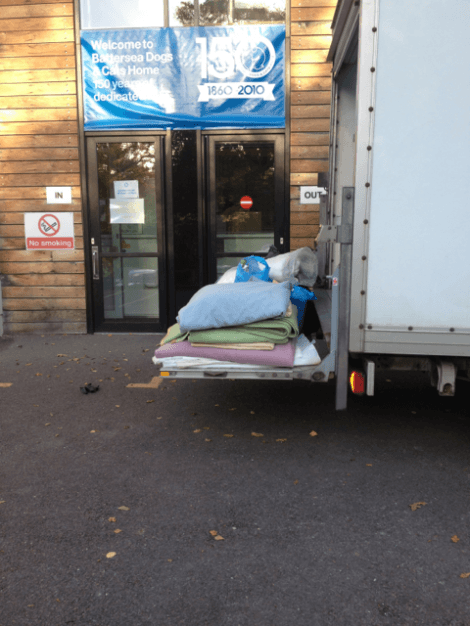 However if a house clearance is carried out responsibly and ethically, it’s a great opportunity to recycle (metals, fabric, textiles etc) and donate unwanted items to local charities. Which is great way to help others, and makes parting with a loved ones possessions a little bit easier. We are passionate about recycling and get great satisfaction re-purposing many of the items we clear, this is great for the environment and our customers, as our recycling ethos means we spend less on commercial tipping fees, which in turn makes our service cheaper and greener for you. In the UK we currently throw away Ten million items of furniture every year, and many pieces could recycled and re-used by someone else, so it’s important that we all recycle where and when we can. Much of the furniture that’s produced today, is poorly made and not built to last, which only adds to the UK’s waste problem. Where possible we will look to donate all suitable items to a charity. Items need to be in a good resalable condition and where applicable have the right labels and safety tags. The shops listed above can receive furniture, as well as sort and redistribute smaller items and clothing to their high street outlets. PLEASE NOTE: We have a built of a good relationship with our chosen charities, and only deliver items that are clean, undamaged and offer an easy resale. 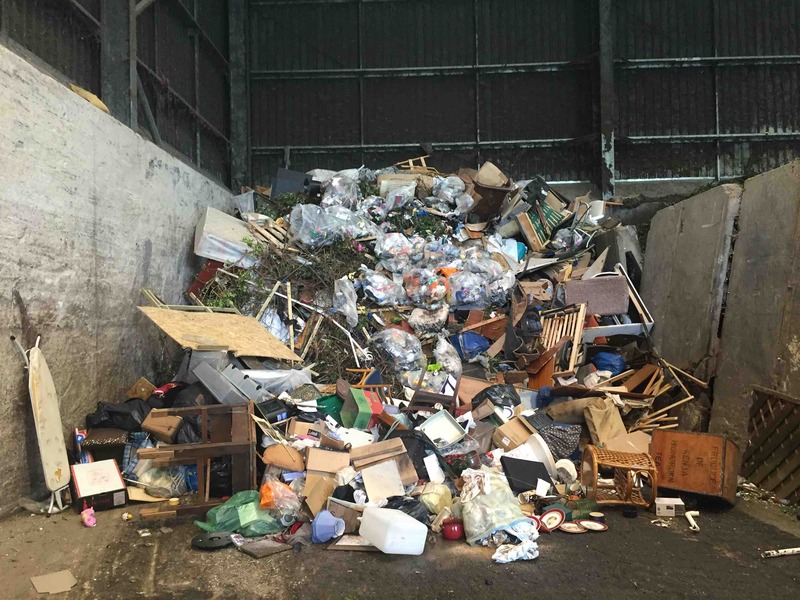 Donating items which are broken, chipped, damaged, dirty or excessively large will mean the charities will need to pay to dispose of the items themselves, which will also undermine our future recycling opportunities with that charity. WHERE DOES THE RUBBISH & JUNK GO ? A bay at waste transfer station we use, with mixed municipal waste before it is processed. We use only licensed recycling centres / waste transfer stations in Berkshire, Surrey and Hampshire. Their recycle rates range from 84% to 99.8%. The waste we dispose off on your behalf, is then separated e.g metal, plastic, glass, paper wood fabric etc. This is done by machines then by hand where needed. Once processed the materials are either sold back to manufacturers or as Waste Energy to countries such as Norway, Sweden and Germany, where they are burning it to generate power. Currently the UK is about ten years behind on using waste energy.